The new-ish Safeway at City Vista. Yesterday, in my “About that Petworth Safeway“-post, I promised that I would speak to someone at Safeway’s corporate offices to confirm and clarify information about their plans for one highly-anticipated renovation. I spoke to Craig Muckle; he’s their Manager of Public Affairs and Government Relations for this region and he was very helpful and informative. First: DCentric reader Teke Wiggin was correct; Muckle confirms that the Social Safeway in Georgetown is the city’s largest at 71,000 square feet. The next largest location is at Hechinger Mall in Northeast, at 62,000 square feet. That means that the proposed renovation of the Petworth Safeway will put it in third place in terms of size, at 60,000 square feet. My final thought on all of these numbers is this: I don’t really care which neighborhood’s store is bigger, as long as the produce is fresh, the products are priced fairly and the service is good. I don’t shop at the large grocery store that is two blocks away from me because it fails on all three of those counts. If it were half-the size and twice as friendly, I’d be happy to go there, so I think square footage is interesting and useful– up to a point. While some locals hope that an independent coffee seller like Qualia could be included in the new store design, Muckle confirmed that when it comes to in-store coffee at Safeway, “in the U.S. it’s Starbucks”. I usually don’t drink their coffee (Filter and Baked and Wired, holla! ), but I also don’t notice that they are the chain in Safeway (or Target, for that matter); the only time I paid attention to their presence was when I realized that since the Safeway in Georgetown is open 24 hours a day, it would’ve made an odd, yet comforting place to pull all-nighters when I was in school. By the way, Muckle confirmed that the Petworth Safeway’s hours haven’t been established yet. UPDATE: One of you kindly informed me that the numbers in this post aren’t accurate. Thanks for that! 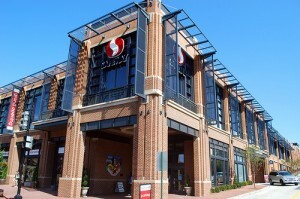 Georgetown's renovated, modernized "Social Safeway". Additionally, the Safeway will increase from 40-50 employees to 150-160. The entire process should take about 2 and 1/2 – 3 years. 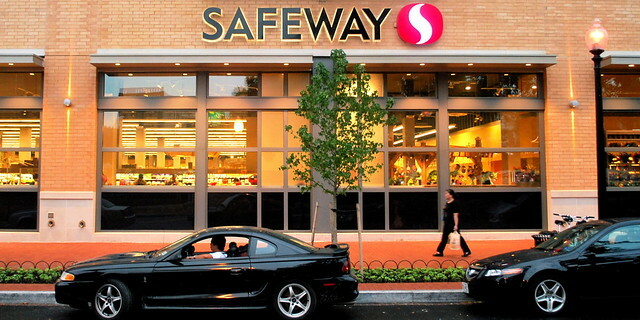 When the extensively renovated “Social Safeway” held its grand opening in Georgetown, people were frustrated at how beautiful and well-stocked (yes, especially with Organic food) it was compared to its siblings in less affluent parts of D.C. Not only does this news address that, it means better options (and more jobs!) for a neighborhood which would welcome them. 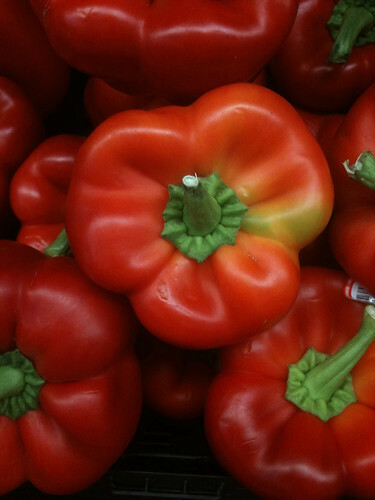 Bell peppers, on sale at Walmart, which is committed to making fruits and vegetables more affordable. In interviews previewing the announcement, Wal-Mart and White House officials said the company was also pledging to press its major food suppliers, like Kraft, to follow its example. Wal-Mart does not disclose how much of its sales come from its house brand. But Kraft says about 16 percent of its global sales are through Wal-Mart. In addition, Wal-Mart will work to eliminate any extra cost to customers for healthy foods made with whole grains, said Leslie Dach, Wal-Mart’s executive vice president for corporate affairs. By lowering prices on fresh fruits and vegetables, Wal-Mart says it will cut into its own profits but hopes to make up for it in sales volume. “This is not about asking the farmers to accept less for their crops,” he said. I know many D.C. residents are less than thrilled about Walmart’s impending arrival, but increasing access to healthy, affordable foods is one way to look at the “bright side” of such a development. Unshoveled sidewalk near Glover Park. The sense of urgency to organize and pursue this initiative came from two sources. A primary driver was listserv traffic describing properties whose sidewalks have persistent snow and ice long after precipitation ends. Another factor was the occasional senior citizen or physically limited person who approached GPCA for shoveling assistance. With feedback from residents, the ANC developed a snow shoveling flyer. The flyer explains the obligation to shovel sidewalk. It also promotes the availability of volunteers help with those who are physically unable to shovel. Any resident can print the flyer and leave a copy at a property with untreated sidewalks. At no point was there significant discussion about how to formally validate that someone needed assistance. Organizers generally assumed that someone who approached the neighborhood for assistance legitimately needed it. I think this fosters a sense of community, something which is sorely lacking in many parts of this city. The fact that such cooperation among neighbors makes it easier and safer to walk around is nice, too. I like that they are going to be red. A Circulator bus near NPR headquarters. 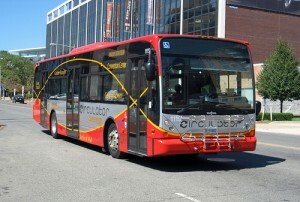 The streetcars were conceived in 1997, when Mayor Marion Barry’s Department of Public Works published “A Transportation Vision, Strategy, and Action Plan for the Nation’s Capital.” The plan called for circulator buses and streetcars to connect existing Metrobus and Metrorail lines and activity centers close to the city’s core. Planners think these additional connections are important since current rail lines connect neighborhoods to the city center but not necessarily to each other; this sometimes makes travel between neighborhoods and activity centers on different transit lines difficult, despite the 106 miles of Metrorail track and 319 Metrobus routes that exist today. Plus, as one presentation of the city’s transportation department puts it, overcrowding on Metrorail will be “unmanageable by 2013” and several Metrobus lines are already over capacity. 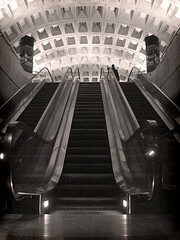 Metro’s Resolution for 2011: Working Escalators? 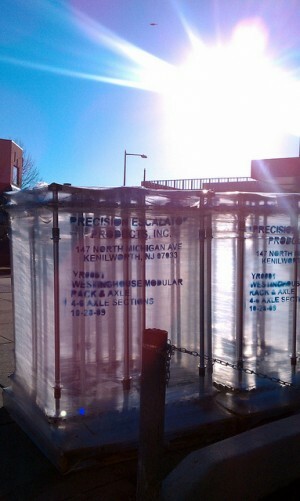 These "Precision Escalator Products" were sitting next to the elevator at the Tenleytown/AU station, yesterday. Metro is focusing extra attention on its problematic escalators, a frequent source of complaint from riders. The transit agency is starting the new year with a newly appointed general superintendent for elevator and escalator programs. Veteran engineer Rodrigo Bitar has been assigned to the position. His task: to oversee the repairs and upkeep of hundreds of escalators and elevators that Metro has failed to maintain. In October, six passengers at the L’Enfant Plaza station were injured when the brakes on a Metro escalator malfunctioned. After the incident, a system wide inspection found additional problems with various Metro escalators. Bitar will be charged with shepherding repair work laid out in an agency assessment made public earlier this year. Rodrigo Bitar has previous experience with Metro; in the past, he was the “Director of Quality Assurance and Warranty”. 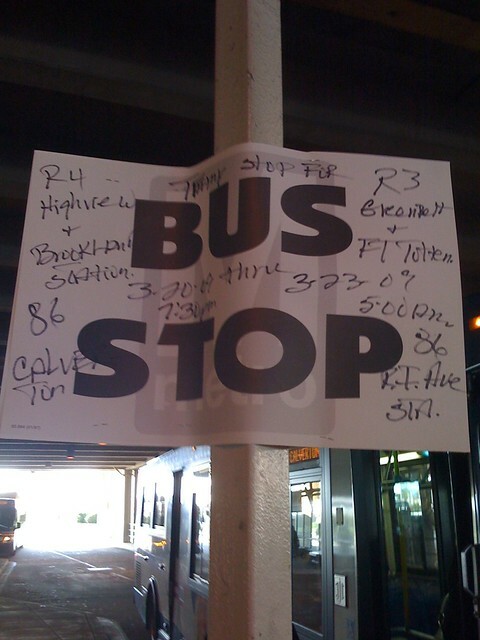 If there’s anything that I encounter on a daily basis in this city that needs some QA– it’s Metro. Go Rodrigo! The result is to create additional burdens on those using the bus for shopping, requiring them to haul or push their purchases a significant distance to the bus stop, a process that would be particularly unpleasant in rain or snow (or, here in Vegas, when it’s 117 degrees), or for those with mobility issues. Quite simply, the escalator report is not well done. It doesn’t specify the specific goal of the audit, and ends up being a grab-bag of several findings, many positive and many negative…If the brake issues were a real concern to the consultant, the report certainly doesn’t reflect that. They are buried between recommendations for better housekeeping and for better training in the Maintenance Management System. This gets to the heart of the real problems facing Metro. As we have repeated on several occasions, Metro’s fundamental flaw in both maintenance and safety is its inability to proactively prioritize action items based on how much an issue contributes to downtime or risk of injury. Instead, Metro creates grab-bags of good ideas, pursues them in no particular order, and then when a major incident occurs reactively spends mountains of money addressing the immediate causes of that incident. Metro is doing the same here, by now testing the brakes on every escalator in the system. Not everyone can afford to keep a car or live somewhere where they can walk to everything they need; people depend on Metro. It’s disheartening that WMATA is unable to prioritize access to safe transportation over housekeeping. I love a clean station, too. But when I spent the better part of a year with my mobility impaired, limping in a brace, a sparkly floor meant nothing to me if I had to pass a broken elevator and then stumble down a broken escalator to enjoy it. 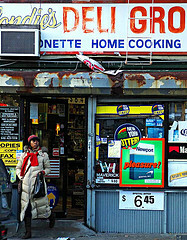 This is NOT the corner store in question. This one is in Brooklyn. “I caught this once…some Purdue chicken…I peeled back their sticker and found a manufacturers date that indicated expiration was 5 days sooner. Anyways, I’ve gone back twice since to try and catch them, and both times found that they had scrubbed off the manufacturers expiration date before applying their own sticker. PoP blogger Dan Silverman offered to put them in touch with someone immediately, but what several commenters are disturbed by is the lack of identifying information for the market. Understandably, there is none because the letter-writer is worried about a defamation suit; he has offered to provide more details via email.